Welcome to the June 29, 2018 edition of ACM TechNews, providing timely information for IT professionals three times a week. The Australian universities of Adelaide, South Australia (UniSA), and New South Wales (UNSW) have collaborated on an energy-efficient data storage method using light. The researchers jointly developed nanocrystal-based technology with light-emitting properties that can be efficiently activated and deactivated in patterns representing digital information. 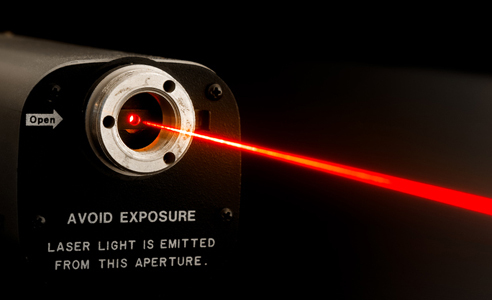 The team employed lasers to change the crystals' electronic states and fluorescence properties. "What makes this technique for storing information using light interesting is that several bits can be stored simultaneously," says UniSA's Nick Riesen. "And, unlike most other optical data storage techniques, the data is rewritable." This multilevel data storage scheme’s use of low-power lasers boosts energy efficiency. "The low energy requirement also makes this system ideal for optical data storage on integrated electronic circuits," notes UNSW's Hans Riesen. New research from the University of Southern California Viterbi School of Engineering's Information Sciences Institute has found that taking regular breaks can improve team performance. The researchers used machine learning algorithms to analyze online gaming data from 242,000 matches played by 16,665 players of League of Legends, a popular multiplayer online game, from May 2014 to January 2016. 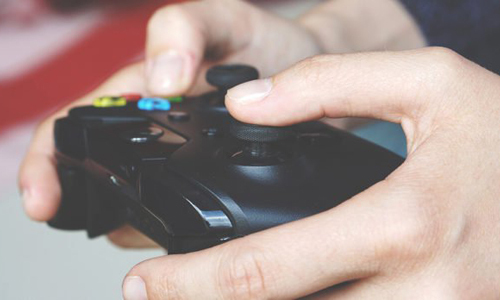 The algorithms sought patterns in player performance over a single gaming session, measuring both individual and team performance. Analysis revealed that players who took regular breaks usually outperformed those who did not, as did their teams. Player performance typically declined by an average 8% to 10% between the start and end of a game session, and the team to which a player was assigned had lower average win rates if that person had already played other matches without a break. Facial recognition technology manufacturers, including Microsoft and IBM, have acknowledged many of their systems have a bias problem, but they are working to better those systems, as well as working to improve accuracy and transparency around how those improvements are being made. Vendors say they have included darker-colored faces in their data training sets to reduce bias in their algorithms. A 2016 study by Georgetown University found that few law enforcement agencies using facial recognition have a minimum threshold for those systems’ overall accuracy, or for racial disparities. The authors of the Georgetown study have called for state and federal laws to govern how police departments use facial recognition, and suggest those police departments regularly test those systems for bias. Some online civil liberties advocates, including the Electronic Frontier Foundation's Jennifer Lynch, argue concerns over bias in facial recognition algorithms will only increase as the technology improves. For example, the systems permit authorities to create a digital dossier on an individual without their consent or knowledge by combining a person’s photo with personal information such as location, family ties, and voting records. University at Buffalo researchers have developed a system that allows autonomous robots to behave like beavers, termites, and other creatures that build structures in response to environmental cues. 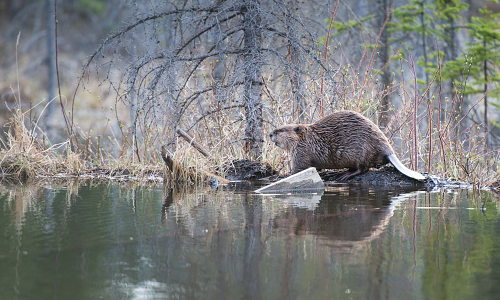 The new system will direct a robot to continuously monitor and modify its terrain to make it more mobile, similar to how a beaver reacts to flowing water by building a dam. Given the difficulty of developing algorithms to direct autonomous robots in unpredictable, complex spaces, the researchers based their algorithm on stigmergy, a biological phenomenon based on a type of indirect coordination. The researchers tested an autonomous rover using the new algorithm by equipping it with a camera, customized software, and a robotic arm to lift and deposit objects. They then created rough terrain to simulate a natural environment, and placed bean bags of different sizes around the area. In 10 tests, the robot moved anywhere from 33 to 170 bags, each time creating a ramp to reach its target destination. The OpenAI laboratory has developed a team of artificial intelligence (AI) agents capable of besting the top 1% of amateur players at the Dota 2 battle arena online game. Earlier agents competed with players one on one; the new agents can compete against players in 5-against-5 match-ups, which demand greater coordination and long-term planning. The researchers used reinforcement learning to train the AIs over several months, with each day of training equal to 180 years of accelerated game time. "It starts out totally random, wandering around the map," says OpenAI's Greg Brockman. "Then, after a couple of hours, it begins to pick up basic skills." Particularly notable is the use of visualizations to debug the agents, while a separate reward function to encourage the bots to cooperate also is significant, according to AI researcher Andreas Theodorou at the University of Bath in the U.K.
Scientists at Zhejiang University in China have developed an algorithm that boosts the performance of automated systems such as power plants, airplanes, and electronics. To efficiently use power, automated systems utilize model predictive control, a key aspect of which is the "feasible set," all of the potential actions a system can perform while staying within predetermined limits. The feasible set can be mathematically visualized as a space within specific shapes; as the limits change, so do the shapes. The algorithm computes the feasible set using constraints represented by geometric shapes; as a result, the system can quickly determine the angle of the inner connections within each shape, easily determining the feasible set of all possible actions. The use of what the researchers call the "polyhedral feasible set computation" allows the problem to be solved faster and using less computing power. 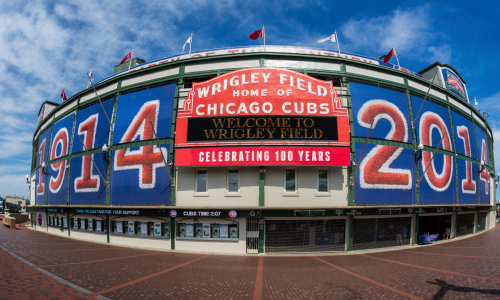 Researchers in the Array of Things project, an initiative of the University of Chicago and Argonne National Laboratory, worked with students at Chicago’s Lane Technical College Prep High School and researchers from the School of the Art Institute of Chicago to turn the city’s Wrigley Field ballpark into a sensor node installation. The Array of Things (AoT) project aims to "instrument the city" with a sensor network capturing activity, environmental, and infrastructure data. Student teams built, programmed, and deployed prototypes for sensors designed to measure sound, weather, and customer satisfaction. Every node bundles sensors measuring environmental data and images that can be analyzed for various factors, and data captured by the nodes is then issued publicly. Working with students at Lane Technical, AoT researchers have devised a pilot educational program to set up similar projects at schools, using commercially available devices to help students produce smaller versions of the sensor network. Researchers at Friedrich-Alexander-Universität Erlangen-Nürnberg (FAU) in Germany received the 2018 Gauss Award for most outstanding research paper presented at the ISC18 conference and networking event for high-performance computing (HPC). The winning paper focused on the development of an improved execution cache memory (ECM) performance model. The team examined the performance, power, and energy properties of three processor microarchitectures commonly used in HPC systems, which helped the researchers find optimal operating points for performance and energy-to-solution cost. Going forward, this type of research will be critical to ensuring HPC centers minimize their environmental impact and offer researchers guidance for optimizing use of a particular system's architecture, says FAU's Johannes Hofmann. James E. Gips, who pioneered technology for boosting computer accessibility to the physically challenged, has died at 72. Gips worked at the U.S. Public Health Service’s psychophysiology laboratory, and as a research scientist at the University of California, Los Angeles, before joining the Boston College faculty in 1976. He collaborated with colleagues at Boston College to develop EagleEyes, a system that uses electrodes positioned around the eyes to enable users who cannot speak or move to control a computer with eye movements. EagleEyes, and a later program Gips co-developed, Camera Mouse, opened up computer-facilitated communication to countless nonverbal people. Camera Mouse made electrodes used by EagleEyes unnecessary by using a camera to track the user's head or finger movements; Boston College has made it available as a free download since 2007. Cameramouse.org estimates the program has been downloaded more than 3.3 million times. 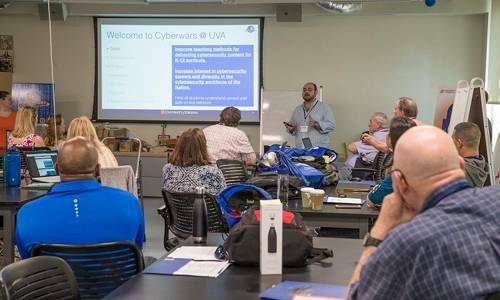 University of Virginia (UVA) researchers are training educators on how to teach cybersecurity to adolescents through a summer camp program. "We want to improve the teaching methods and empower high school students with cybersecurity," says UVA's Ahmed Ibrahim. "We want to get more students involved in cybersecurity because it is a growing field." The GenCyber Cyberwars Camp, sponsored by the GenCyber Program underwritten by the U.S. National Security Agency and the National Science Foundation, had high school teachers spend seven days in training, with follow-up support to be provided by program organizers during the coming school year. Presenters highlighted the idea that cyberattacks are inevitable and unavoidable, citing many breaches into business and government websites that exposed sensitive records. "We hope to give teachers some ideas and tools to get their students excited about learning about cryptography, privacy, and cybersecurity, and how these things can impact them," notes UVA's David Evans. St. Jude Children's Research Hospital researchers have developed an algorithm to help identify biomarkers that differentiate between cell populations at the single-cell level, a development that could yield insights into cancer. St. Jude will offer the algorithm, called negative binomial model with independent dispersions (NBID), free of charge to researchers worldwide. St. Jude's Xiang Chen and colleagues created NBID to take better advantage of single-cell RNA sequencing to track differences in gene expression in individual cells. This information could advance precision medicines and enable more sensitive diagnostic tests. Chen and his colleagues used molecular "barcodes" to track gene expression by marking and counting messenger RNAs using a process called unique molecular identifier (UMI) counting. Testing revealed NBID is more sensitive and more accurate than other methods in recognizing differences in gene expression between different groups of cells.